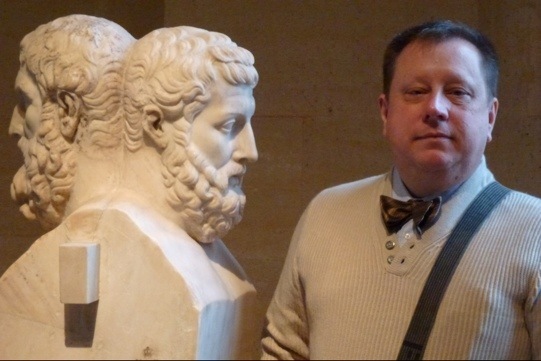 Here I am at the Louvre Museum with Epicurus and Metrodorus. I know, outside of me wearing a bow tie how dose this bring out the inter-bowtie in all of us? Well it does bring me great pleasure to wear on, so it make me happy and a few others too.